Astro Malaysia has partnered with Havas Sports & Entertainment, a division of Havas Media Asia Pacific, to broadcast the “Fight of Champions” World Boxing Association (WBA) Welterweight Championship in Malaysia on 15 July. 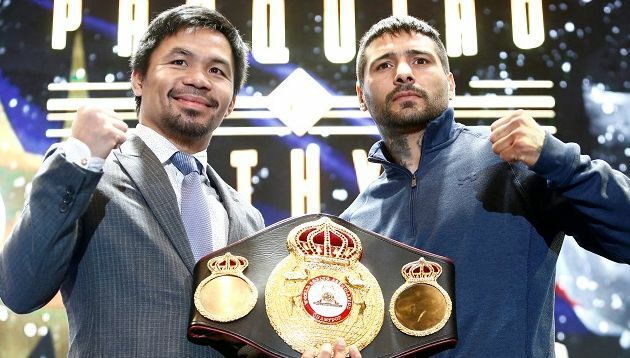 In May, promoters of “Fight of Champions” MP Promotions and Events picked the agency as the international media rights and commercial partner for the championship, which features contestants Manny Pacquiao and Lucas Matthysse. The deal grants Havas Sports & Entertainment media rights across all platforms and devices, covering worldwide distribution across Asia Pacific, Europe, Latin America and Africa. CK Lee, Astro’s head of sports business, said Astro Arena has been the home of sports in Malaysia, and it is proud to have the “rare opportunity” to showcase the championship. “We’re pleased to partner Havas Sports & Entertainment and Manny Pacquiao’s consortium to make this event available to Malaysian fans,” Lee added. “We are delighted to work with them to ensure the ‘Fight of Champions’ will be available to as many boxing fans in the country in High Definition. We are also heartened by the response from broadcasters and sponsors, especially in Asia,” Melvin Lim, CEO of Havas Sports & Entertainment, APAC added. Meanwhile, MP Promotions and Events’ head of sales and marketing, Arnold Vegafria, said the agency has been a “great partner and collaborator”, securing important distribution partnerships globally to promote the event. Meanwhile, the agency also secured a partnership deal for the “Fight of Champions” with Filipino oil refining and marketing company, Petron Corporation. The company will be featured across premium advertising and sponsorship opportunities before and during the event. "It takes a bold step to be a player in the digital industry and we should always be prepared to expect the unexpected circumstanc.. Some travellers fly more often than they drive these days. In a stretch by flight companies to send the message of safety across, ..